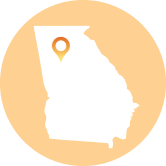 After emerging on the Watch List for the first time last year, the Georgia Supreme Court further solidified its position as a jurisdiction to watch in 2018. Although it has been spared from being named a full-fledged Judicial Hellhole (for now), liability expanding decisions by the Georgia Supreme Court are becoming the norm, and if the trend continues, it is likely the court will find itself in unwanted company on next year’s Judicial Hellholes list. On March 15, 2018, the Georgia Supreme Court issued its highly anticipated decision in Chrysler Group LLC v. Walden et al. The court failed to capitalize on an opportunity to restore balance to the state’s judiciary and reign in the runaway jury verdicts plaguing the system. The case originated in a trial court in Decatur County in 2016 and ended in the largest wrongful death and pain-and-suffering verdict in Georgia history, totaling a whopping $150 million. The award in this case stemmed from a tragic accident in which a reckless driver rear-ended a family in their Jeep Grand Cherokee as they sat at a stoplight. The impact exploded the gas tank, causing a fire which took the life of a child. At trial the judge allowed the plaintiffs’ attorney to concentrate his ire on the income of Chrysler’s CEO and otherwise suggest that company executives should go to prison instead of the driver who caused the accident. A predictably enflamed jury found the driver to be 1% at fault and Chrysler to be 99% at fault. Incredibly, an intermediate appellate panel in November 2016 upheld the verdict, which had earlier been substantially lowered by the trial judge. In upholding the lower court’s decision, the Georgia Supreme Court found that relevant evidence as to a witness’ bias, including witness’ compensation, “shall be admissible,” and determinations should be made on case by case basis. In this case, the court weighed the prejudicial effect of the evidence compared to its probative value and determined that because the plaintiffs alleged that the CEO inserted himself into a federal safety investigation – that ultimately decided Chrysler’s design did not pose an “unreasonable” risk to safety and removed it from the NHTSA recall – the income of Chrysler’s CEO was relevant as it lends to the jury’s evaluation of his credibility. The court allowed the introduction of this evidence, even after acknowledging that juries may use the evidence to “express biases against big businesses.” As discussed in ATRA’s amicus brief, this decision is likely to encourage further efforts to enflame juries with this kind of unnecessary, distracting evidence. In addition to allowing inflamed “runaway” verdicts, the Georgia Supreme Court also has developed a propensity for issuing liability-expanding decisions. The plaintiff, Lorrine Thomas, was injured in a car accident and paramedics used a cervical collar to brace her neck. While at the hospital, doctors did not find any signs or injuries to the vertebrae. Prior to being discharged, a nurse removed her cervical collar. While waiting for her ride, plaintiff became unresponsive and was readmitted. A cervical MRI then revealed she had a spinal fracture. The original complaint was filed four days prior to the expiration of the two-year statute of limitations. A little more than a year later, Thomas filed an amended complaint after her lawyers learned of this hospital policy. It added three additional counts of negligence against the hospital including a claim of imputed liability for simple negligence of the nurse who removed the cervical spine collar in violation of the hospital policy. The employee’s care had not been at issue in the original complaint as it only claimed professional negligence by the hospital. A Fulton County Superior Court Judge denied the plaintiff ‘s efforts to amend the complaint and the plaintiff appealed. In an opinion written by late Chief Justice Hines, the Georgia Supreme Court held that the new claim against the hospital “related back” to the original complaint. The court analyzed Georgia’s Civil Practice Act and expansively construed it to allow additional amendments when they “relate back to the date of the original pleading.” The court reasoned that Plaintiff ‘s additional claim occurred at the same time, same place, and was a part of the same incident, despite the fact that the amendment asserted a different actor than the individuals whose conduct was originally questioned. The court’s decision circumvents the statute of limitations and opens up defendants to indefinite liability. By doing so, it is making laws without the proper authority and overstepping into legislative responsibilities. In yet another liability-expanding decision, the Georgia Supreme Court revived a food-poisoning case that dated back to June 2014. The plaintiffs alleged they contracted salmonella poisoning from chicken served by a caterer at a wedding rehearsal dinner. Plaintiffs Joshua and Taylor Patterson tested positive for Salmonella 48 hours after consuming Big Kev’s Barbecue. The caterer argued that the plaintiffs also consumed other food and beverages that day, including alcohol, desserts, and a meal from a fast food restaurant. Surprisingly, in an unanimous opinion written by Justice Michael Boggs, the Georgia Supreme Court stated that over the years there has been a “mistaken impression that food poisoning cases ‘are a unique species of negligence cases’ imposing a heavier burden upon the plaintiff to show proximate cause than that generally required.” Instead, the court reversed the lower court’s dismissal and returned the case for trial. It’s not surprising to note that the Georgia Supreme Court chose to honor trial lawyer, Joel Wooten, of Butler Wooten & Peak, with the Amicus Curiae award. Wooten has been lead counsel in a number of prominent class action, trucking, product liability, and motor vehicle cases. In August, Governor Nathan Deal (R) appointed Sarah Hawkins Warren to fill Justice Britt Grant’s vacancy on the Georgia Supreme Court. Justice Britt Grant was confirmed by a narrow margin in late July to serve on the 11th U.S. Circuit Court of Appeals. Justice Sarah Warren will become the youngest member of the nine-justice court and shares a similar background to that of Judge Grant.